The AWS Instance Scheduler is a solution that enables customers to easily configure custom start and stop schedules for their Amazon EC2 and Amazon RDS instances. The solution is easy to deploy and can help reduce operational costs for both development and production environments. 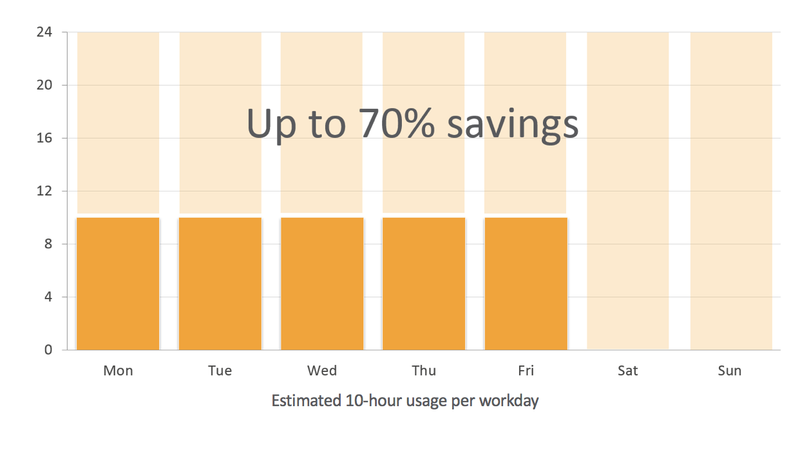 Customers who use this solution to run instances during regular business hours can save up to 70% compared to running those instances 24 hours a day. This entry was posted in AWS, Cloud, Computer, Murmuring, Network, Service and tagged amazon, aws, cloud, ec2, instance, scheduler on February 9, 2018 by Gea-Suan Lin.